The average everyday - Reality Fictionized: Are we safe? It was almost one am of our independence day when this happened. I was returning after 3 days of yoga sessions at the Isha yoga center at Velliangiri hills in Coimbatore. The Udumalpet* bus stop was completely deserted but as I am not new to night travelling (in fact I love to travel in the night), I started to walk towards my home which is at a walk able distance from where the Coimbatore bus dropped me. I saw 3 police men standing opposite to the nearby petrol bunk, checking the crossing motor cyclists for any drunks. As I was passing them, I realized they must be on special Independence Day duty to be on the patrol at this hour. The night was so serene and peaceful. I searched for the moon and was a bit disappointed to see a cloudy sky. The climate was pleasantly cold. A kind of coldness that brings your hands together to rub, but does not get to your bone. It was like the whole world was deep in a dreamless sleep after a day of rigorous work except the stray dogs that roamed about. I myself was totally exhausted by the past three days of heavy physical exercise at the yoga center and would have loved to go flat on my bed with a warm pillow. Just then I was disturbed from my thoughts. A passing 2 wheeler was stopping beside me. It had two people on it and the one in the back asked me where was I going and was offering me a lift. Now that these guys were offering a lift unasked at this ungodly hour was another thing totally, but the fact that there were already two on the motor cycle made me uncomfortable. Suddenly I realized that I was all alone. I simply said to them “thanks but no thanks boss, I am almost there. Look my place is near the next right turn” and quickened my pace of walking. They crossed me and went into the turn that I was about to take. That did it. I was getting a bit nervous. I bent down and took a stone (sounds corny but that’s what I did), like it was going to help me if I was to be ambushed. Well anyways it gave me the confidence that I desperately needed. I simply know for a fact that if these guys are going to jump on me, I am done for. But I really didn’t want to go down before giving those guys a really tough struggle. At least I wanted to break one of their noses if they were going to rob me. And at the turn, my suspicions were confirmed. One of those guys was taking a leak and the other was sitting on the bike ready to fire up. Then I realized these crooks must be planning to go for my bag which was hanging on my shoulders. I saw them at the corner of my eyes as I crossed them and felt my heart lurch when they did the same. What happened next was really slow and I remember every single second of it. I crossed the road, and kept walking keeping to the right of the road. I brought my bag in front of my stomach and held to it as tightly as I could, hoping to make things as difficult as possible for them. The motor cycle behind me fired up and It sounded as if they were gaining on me. I was not going to turn back. It would, may be I thought will give away that I know about their intentions. Then it happened. Out of the blue a lorry coming from the opposite direction crossed me and as the dust raised by the lorry slowly died down, I realized that those guys were gone. I reached home in one piece. Two days later when I was talking with my aunt, who resides in Tirupur*, She told me how she almost got her chain cut when she was riding her TVS by a guy who was on a motor cycle. And when I said about what happened to me, I was told a lot of more serious stories that made my own experience comparatively really a easy one. Now thinking about this problem in preventive terms, what can we, the public in respond to such thievery? The cops cannot be all over the town protecting people at all the right times. Come on they are not are super man or in the least Steven Seagull- “always there to protect and save the innocent” (much like heroes of our own tamil cinema- where they always say that its just their duty to save the damsel in distress who invariably ends up as the heroine). Life isn’t that perfect to always have a savior near you. We must be more careful I thought. After all you cannot have text book rules to behave in such situations and not all of us are black belts in karate. Yourself living would be much worthier than any valuables you may be having. But I still don’t think that I have answered the question that I raised at the beginning. 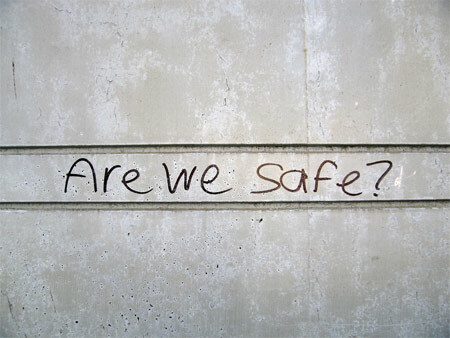 Are we safe? Am I safe? Are the people who are close to me safe? 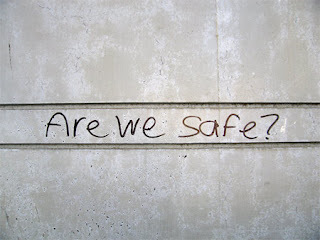 Only when thinking about the same in the singular perspective we may be able to see the true status of our own safety. This doesn’t mean to ignore the needy at times of distress when they may need your help. I have always been inspired by people who put their own life on line to rescue others. I look up to them. I want to be always one of them. 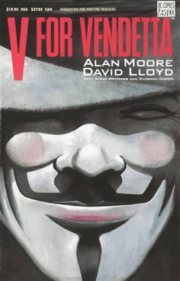 All I want to do is to merely suggest a way to know where you stand. Always remember that you will have to be in safe grounds to rescue others. After all your own life is what you make out of it. But havent u heard Pattukottai Kalyanasundaram? "Thirudanai Parthu thirundha vittal thiruttai nirutha mudiyadhu"